I have a Keeprite N9MP1075B furnace with a fan that won't shut off. The AC starts and stops as required, I tried the heat as well and it comes on and off no problem, but the fan will run 24/7. The fan switch is on auto, not on, and even tried a different thermostat and had the same results. I have read that I may have a stuck fan relay and try giving it a tap to loosen it up but I can't seem to locate it on my system. I have been told I might have to replace the board as the fan relay may be located there, the circuit board is ST9160B 1084. I called a "pro" and he came in for about 5minutes and told me I need a new board. Last night I did some more reading and went back to the furnace, found the fan relay, gave it a slight tap and the fan shut off. So far the AC has running normally with the fan shutting down as it should. It looks as though everything is working fine for now....with the same board. I'm troubleshooting an 80% furnace with an IFC board and its inducer blower motor stays on constantly even though the thermostat is set on Off and the fan on AUTO. Check the limits. Relay board contacts might be arc together remove the W wire off the board that is your heating call see if the relay drops the ID out. There is a relay that sends power to that motor. It is probably on that board. The contacts have welded themselves together. You might get that to release by tapping the handle end of a screwdriver on that relay, but even if that works you need another board. Lower pitched "rumble" sound may be caused by a poorly adjusted pilot light if this problem occurs with the burners off. 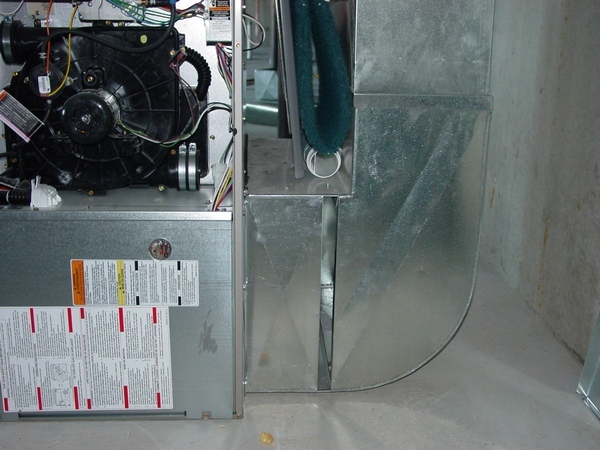 Lower pitched "rumble" sound may be caused by dirty gas burners if the problem occurs with the burners on. •	Check for proper belt tension. Belt should depress about 1" at center of span. •	If too loose, tighten belt. 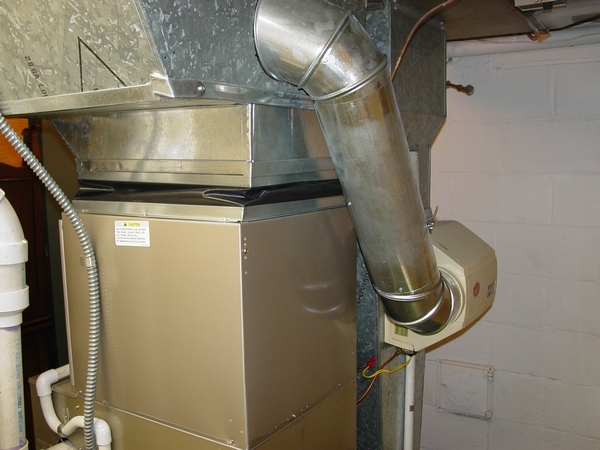 •	Call furnace service technician to have burners adjusted or cleaned. 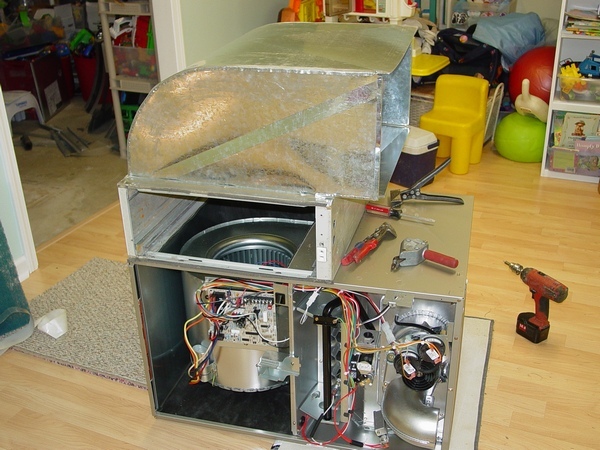 The burner in your gas furnace is ignited either by electronic ignition as found in most modern furnaces or with a pilot flame common in older style furnaces. The gas furnace standing pilot (flame is lit all the time) is sometimes referred to as a pilot light, but no matter what you call it, its purpose is to serve as a small ignition flame for the gas burner. And when this little flame fails to operate properly or go out, it's one of the most common reasons a gas furnace will fail to operate. So as they say, good things come in small packages and the furnace pilot is no exception. This standing pilot flame (and its friend the thermocouple) makes or breaks your furnace's operation, so it's worth spending some time to learn how it works and how to troubleshoot the furnace pilot. As it turned out, the problem was water in the line to the pressure switch. The condensate drain line was plugged and water backed up causing the pressure switch to stay in a closed position. I unplugged the drain line, disconnected all relative hoses and drained them, and tapped on the pressure switch to let any residual water drain out. That took care of the problem, the CAF took right off, the burner lit, all systems are go. I have an Interterm electric furnace that refuses to shutdown after completing the heating cycle. It does this intermittently, not all the time. 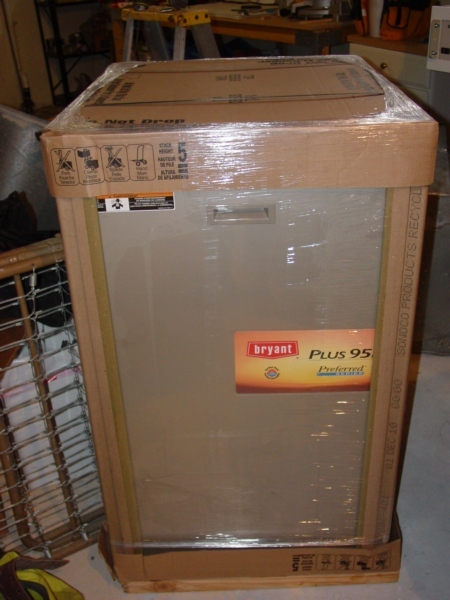 I had a HVAC guy look at it 4 weeks ago, for 15 minutes and charged me 60.00 and did nothing. He said he would need to come back several times and replace one thing at a time and see what remedied the problem. I said no way. I ordered a new thermostat and replaced it myself. Furnace worked okay for 3 weeks, now it's back to working okay for part of the day then blower runs and heats without stopping. Turning the thermostat to off does not cut it off. I'm old and live alone, with limited income. What is the problem, so I can get someone reliable to maybe repair this? One of the heat sequencers is intermittently sticking. In defense of the tech he has to see it when it is sticking in order to know which one. May need to leave it running, when that happens, get someone down quickly to see it. Most likely you have two sequencers, bite the bullet and replace them both. It’s a common problem on electric units.